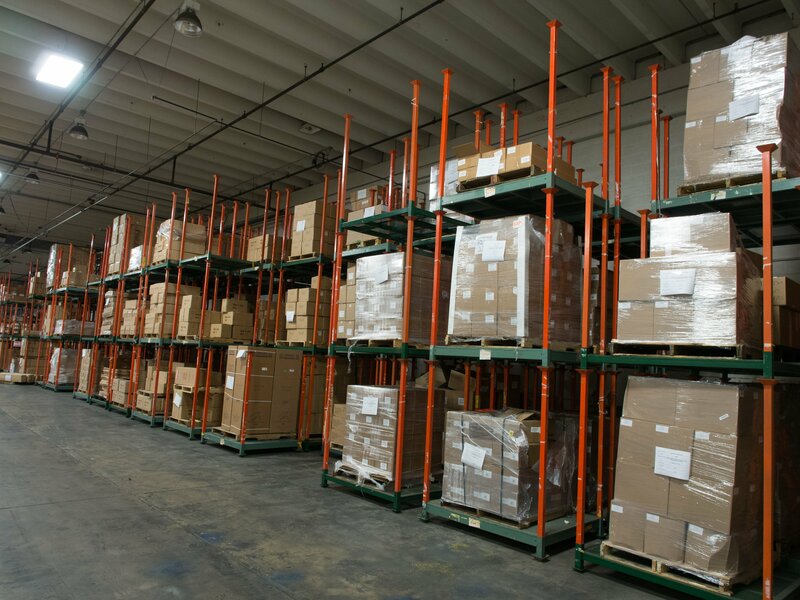 At eFulfillment Service (EFS), we provide warehousing and order distribution to hundreds of ecommerce merchants around the world that are looking to grow here in the United States. We regularly receive a variety of questions regarding our fulfillment services, ranging from the types of distribution companies here in the U.S., to the the things that make our company unique. As such, I wanted to write a post that covers a few topics related to U.S. warehousing and order distribution, including the type of company that may be best suited for your needs, and what types of questions to ask a potential fulfillment partner here in the USA. An order fulfillment warehouse, also referred to as a distribution center, is defined as a place in which various types of merchandise are stored and shipped from in order to reach a specific type of customer. By itself, the term, “fulfillment warehouse,” doesn’t necessarily describe the type of distribution center, as some warehouses focus on specific types of merchandise, orders, and customers. For the purpose of this article, I’m going to focus on two common types of ecommerce distribution centers…. Drop shipping is defined as order fulfillment via a manufacturer or wholesaler, meaning the retailer does not carry the stock. For example, let’s say you sell two types of widgets. For the first widget, you source it from supplier A, and for the other, you source it from supplier B. With drop shipping, when a merchant receives an ecommerce order for widget #1, it will be shipped directly to their end customer by supplier A. If someone orders widget #2, then supplier B will do the shipping. If someone orders both, they’ll receive two separate packages, one from supplier A, one from B. With drop shipping, manufacturers typically will send orders to the merchant’s customers as the merchant receives those orders. This means that the merchant does not have to purchase a large amount of inventory. Instead, they’re essentially only purchasing inventory when they’ve made a sale, allowing a merchant to start listing products and making sales with a much smaller capital investment up front. When ecommerce sellers utilize drop shippers here in the U.S., they often have access to a wide assortment of products that are offered by one or more manufacturers. Because these merchants don’t have to purchase the stock in bulk and, instead, the products are shipped by the manufacturer as the merchant receives orders for those products, they can more easily test new products at a lower cost. Any time you purchase goods in bulk, the price per unit is typically less. It’s no different with drop shipping via manufacturers. Because merchants are essentially only purchasing one unit as a time as they make a sale for that unit, the unit price is typically higher than it would be if they ordered several units at one time, leading to smaller margins for the merchant. Drop shipping can also lead to higher order fulfilment and shipping costs for ecommerce sellers. There are a couple of reason for this. First, if you’re using a U.S. manufacturer that isn’t set up well for ecommerce order fulfillment shipping, their internal costs may be higher than a traditional 3PL (third-party logistics provider), and those higher costs will be passed on to the ecommerce seller. Additionally, if you’re using multiple drop shippers, then you’ll likely receive orders with items that need to be filled from multiple suppliers, which adds to your shipping costs, as shipping two boxes is more expensive than shipping one box from one location. In many cases, the time it takes to get an order out the door and have it reach the end customer is longer with drop shipping compared with a 3PL. As with the potentially higher costs, one reason for this is that some drop shippers aren’t set up as well as a 3PL when it comes to their technology and internal efficiencies relative to small parcel distribution. Another big reason for the slower turnaround time is that drop ship suppliers will generally produce the units once they receive the order, which is slower than simply picking an item off the shelf and shipping it. As an online seller, when you find a supplier that’s willing to drop ship, that generally means that the same product that’s being drop shipped for you is also being drop shipped for other online sellers. So, as compared to a product that’s custom-manufactured to your specifications, those that are drop shipped often come with an increased amount of competition within the ecommerce landscape. Outsourced order fulfillment is defined as order fulfillment via a third party, one that requires the merchandise to carry stock. This is also commonly referred to as using a 3PL, or third-party logistics provider. Drop shipping is essentially a form of order fulfillment. The difference, though, is that, with drop shipping, the retailer has their manufacturer ship the orders. With outsourced fulfillment via a 3PL, the retailer is using a third party that specializes in order fulfillment (and typically does not manufacture any products). At eFulfillment Service, we are an outsourced order fulfillment company, meaning we do not produce or manufacture any goods. Instead, our clients, which are ecommerce sellers, will have their goods produced from a supplier here in the U.S. or overseas, they’ll send us those goods in bulk, and we will warehouse those goods until they’re sold, at which time we’ll pick, pack and ship them to our clients’ end customers. Our clients will generally purchase their merchandise in bulk from their suppliers and then ship it to our U.S. fulfillment warehouse. By doing so, they do have to account for the shipping cost to our facility, although that added cost is typically quite a bit less than the savings they get by purchasing in bulk, ultimately leading to higher profits. By filling an entire order out of one warehouse (as opposed to splitting that order among multiple drop shippers), merchants save money on shipping. And again, while the inbound shipping to the fulfillment center needs to be accounted for, when shipping in bulk, the per unit cost is significantly less than a small parcel shipment, meaning the merchant still comes out ahead by not having to split outbound orders. When using an outsourced fulfillment company here in the U.S., because your products are sitting on the warehouse shelves ready to be picked and packed, you’re generally able to reach your customers faster. Drop shippers offer a number of advantages. However, as mentioned, as an online seller, you may have to deal with multiple drop shippers, which can not only lead to higher shipping costs, it can also make it more difficult to manage on your end. When you use an outsourced 3PL, it doesn’t mean that you can’t sell a wide variety of products, it’s simply that it may not be as easy to test your marketing strategy and customer demand for those products. A fairly common tactic is to use a drop shipper to test new products; then, if those products show promise, the merchant will purchase them in bulk and then use a third-party fulfillment center to reduce their costs. With more inventory comes the need for a larger initial capital investment. This can be difficult when sellers are just starting out, and inventory often represents the bulk of startup costs for an ecommerce seller. When using a 3PL vs. a drop shipper, this up-front inventory cost can be higher, although, as discussed, it can ultimately be more cost-effective. Here is a table showing typical pros and cons of order fulfillment vs. drop shipping…. Which Type of Order Fulfillment Approach is Right for You? If you’re trying to determine the right U.S. order fulfillment option for you and are comparing drop shippers and 3PLs, solidifying the right distribution method(s) will ultimately require some analysis based on your particular situation. For example, if you’ll be selling a product that’s custom-manufactured to your specs, one that can be produced in bulk (as opposed to having to be produced on-demand), then your manufacturing options may be more limited and you may not have a choice but to use an outsourced 3PL, or handle the order fulfillment yourself. If you’re custom-manufacturing goods per order, then the opposite may be true, which is that you aren’t able to bulk produce those goods and need to drop ship per order (or again, handle the order fulfillment in house). If you’re a startup company and are looking to test generic products, then drop shipping may be the way to go to afford you a larger product assortment, at least initially, even if that means less margin. If you’re based outside the USA and have an established ecommerce business overseas, meaning you already manufacture goods in bulk, then using an outsourced order fulfillment center here in the U.S. may be the most appropriate, cost-effective option. It’s not uncommon for ecommerce sellers to utilize a hybrid approach, meaning that some of their merchandise is drop shipped from suppliers, and some is warehoused and shipped using a 3PL. In other cases, a merchant may handle order fulfillment in-house for some types of products, perhaps those that require customization and/or greater quality control, and others are handled by an outsourced provider. Questions to Ask U.S. Order Fulfillment Companies? Drop shippers and order fulfillment companies all seem to charge a bit differently. Some lump multiple services into one fee, while others break everything out. Some will charge more fees than others, while some have rates that change based on how much or little you’re shipping. 2. What percentage of your orders are direct-to-consumer (D2C) vs. B2B? 3. Where are your warehouses located? 4. How large are your warehouses and how close are you to capacity? 5. How many clients do you currently work with? 6. How many orders do you ship per day? 7. Are there specific types of products that you specialize in working with? 8. What is your fulfillment pricing structure? 9. Does pricing change as my business grows? 10. Do you have minimum order requirements? 11. Do you have any setup fees? 12. Do you have a minimum monthly retainer? 13. Do you ship outside of the United States? 14. Do you control all parts of your business, or do you outsource the warehousing/fulfillment, customer support, IT, or anything else? 15. What shopping carts / marketplaces do you integrate with? 16. What are your service-level agreements regarding turnaround time for inbound and outbound shipments? 17. Can you provide me with your Dun & Bradstreet ratings? 18. Do you have a long-term contract? 19. What do you consider to be your strengths and what sets you apart? 20. What do you consider to be your weaknesses? There are likely more questions you’ll want to ask a prospective drop shipper or 3PL as they relate to your particular business, although these will help you to gain a better understanding of the company’s overall level of experience, pricing structure, and if they may be a fit for your business now and into the future. In this article, I cover two common order fulfillment options here in the U.S., which include drop shipping and outsourced fulfillment via a 3PL. We are an online retail shop based in the Philippines. Would you be able to help with information on whether we can sell the items we carry in shop to customers in the US, using your fulfilment center? Or will we need to be a US-based company to be able to do that? Thank you for reaching out here. And is a great question! We work with many internationally-based sellers and, typically, it is not a requirement that those sellers establish a U.S. company in order to use our fulfillment center. If you’re using a U.S. order fulfillment company to handle only orders from U.S. customers, then you will generally only need an importer ID, which is something that a customs broker can help you with. If you’d like, please feel free to fill out our contact form and one of our friendly team members here can reach out with additional information on our fulfillment services, including how to go about generating an importer ID for your business. Love the articles published here. I’m looking for a warehouse in the US to hold stock and do fulfillment of orders sold. Thank you for reaching out regarding our ecommerce order fulfillment services. We’d love to chat and learn more about your business and provide you with more info on our services. Someone from our sales team will reach out to you shortly! We are looking for warehouse services for Walmart. Please revert if you provide any such facility. Thank you for reaching out regarding our warehousing and order fulfillment services for Walmart sellers. We are able to not only handle your Walmart orders, but also orders from any other online channels you’re selling from, and we offer a great deal of flexibility, meaning there are no minimum order volume requirements, no long-term commitments, and no long-term storage fees. Our sales team will be in touch with you soon to provide more information. We’re looking forward to talking! Thank you for inquiring about our inventory storage and ecommerce fulfillment services here in the U.S.
To answer your question, yes, you would be able to send us a range of merchandise to sell on your ecommerce website. We work with tens of thousands of different products and do not have any sort of minimum storage requirements, nor any minimum order requirements. We do have a couple of limits relative to the type of products we’ll warehouse. For instance, we don’t typically work with products of extremely high value, or with products that are extremely large, such as furniture. Other than that, we can likely accommodate your storage and order fulfillment needs, and we work with many internationally-based sellers so we’d love to chat further! If you’d like, please contact us at sales@efulfillmentservice.com or fill out the quote request form on our website. We can then send more info and hear more about your plans.